An official from China Material Storage and Transportation Co. (CMST) which runs the country’s largest warehouse for nickel said that consortiums are stockpiling the metal, National Business Daily reported today. The unnamed CMST official said at a seminar that stockpiling activities by those consortiums were the major reason behind surging nickel prices , the report said. Daily outbound delivery of nickel from its warehouse hit an all-time high of 12,000 tonnes in March, one fifth of the company’s inventory, the official said. 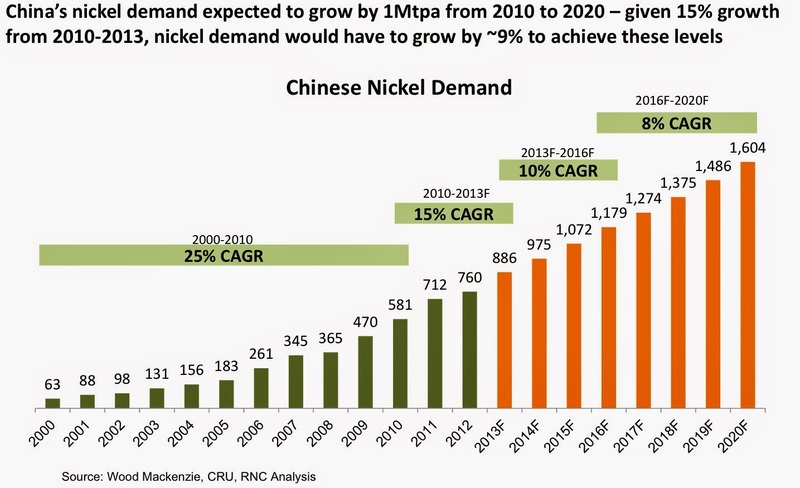 Nickel prices are expected to continue consolidating at the current 120,000-130,000 yuan ($19,485-21,108) per tonne level, and may hit 180,000 yuan per tonne once breaking the upper band, he added.